The copycat art installation of the Gates serves two purposes. The Dacha Project recreates The Gates at Central Park in an attempt to bring big city culture to the stix. You can see a visitor, Joe, enjoying the site and the magnificence. Also we discovered that The Gates- luckily- serve a further function of marking where our footers will be dug. Thx Gates. Also enjoy this photo of Gals Digging Footers, to prove that we don’t just make art installations but also dig footers. Thx Gals. Gals digging footers for the addition. It is hard to believe that spring is right around the corner, especially when it is five degrees outside as we’re writing this. Still, experience tells us that grasses will bloom and the birds will come home, and that not all is lost to the ruthless ravages of winter. Here, at the Dacha Project in downstate, NY there is nothing more we look forward to than the coming of the May sun. This spring, after the earth thaws, the Dacha Six will break ground on the building of a large common house. We know that we will be busy bees with the sustainable building and all, and that every last cent of our funds will go to buttoning up the building before winter comes again, but we hate to miss the earliest opportunity we have to plant an orchard of fruit and nut trees. We’re writing you with a special request and offer: SPONSOR A FRUIT OR NUT TREE OF YOUR CHOICE FOR JUST $20 (or as much as you can contribute), AND REAP THE HARVEST….in only four to six years. Filmed in September 2008, edited some time later by Lily G, and myself. 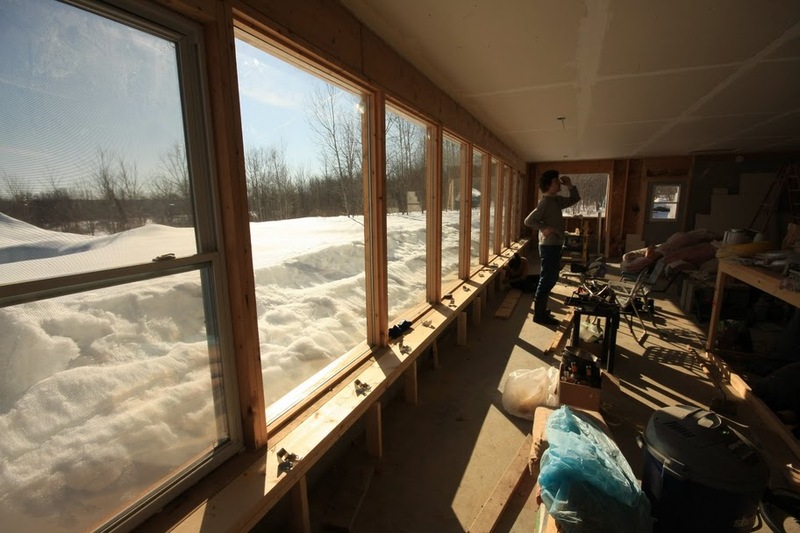 Please enjoy, “Frame by Frame” the framing of our straw bale cottage. This short film is a moving after school special about some folk who engage on a journey of building a stick frame only to find themselves doing just that. Next to come: Winter Palace Pt 5- Stacking Straw Bricks and Goofing Around, a thrilling drama showing the real life context around the building of straw bale walls.